I'm sure you've all heard of wine tastings and afternoon teas. I've been to both and am quite a fan. 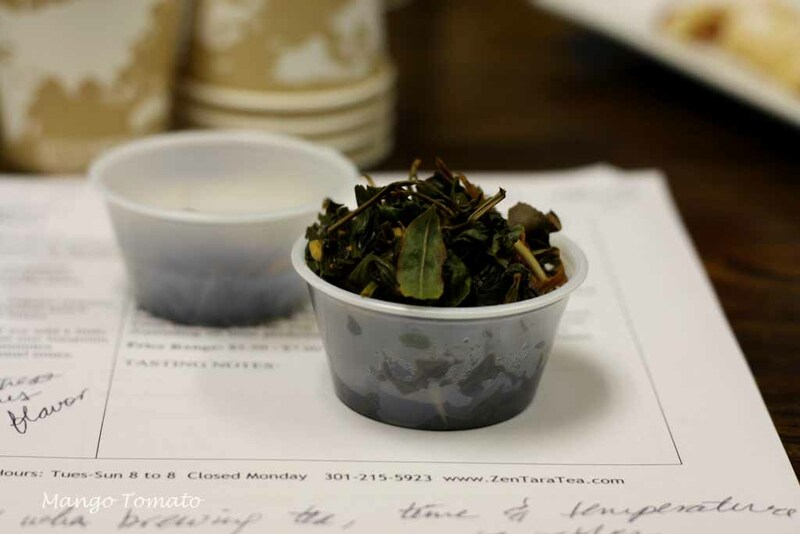 But I've never attended a tea tasting...that is not until Nicole let me know that Zen Tara Tea in Bethesda, MD holds such events at its store. We both bought tickets and attended their Tea as Dessert this past Sunday. So what's a tea tasting like? 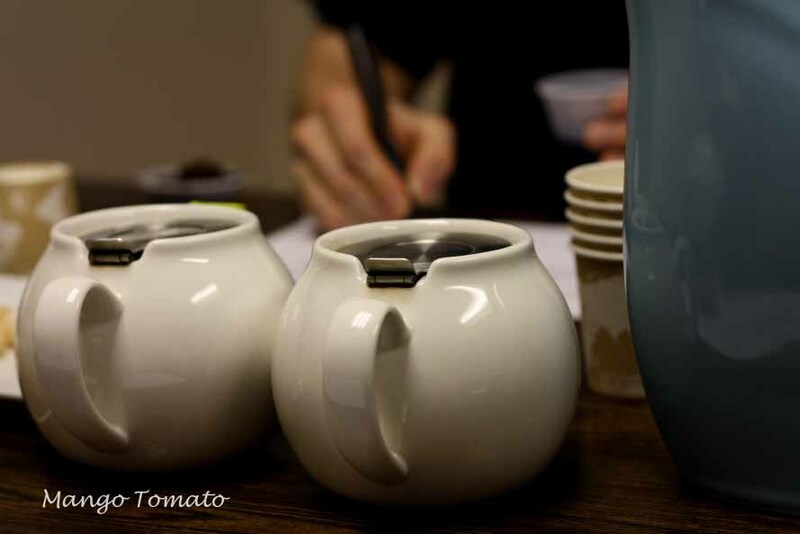 This particular tea tasting was held in a little room, was attended about 10 people and led by Guy, who was very knowledgeable store employee (sorry, forgot his name). 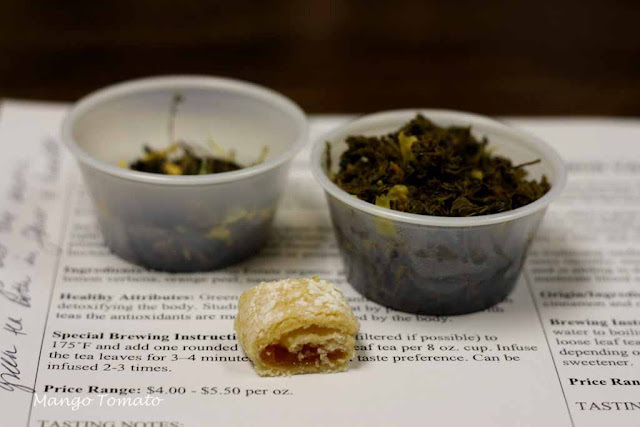 There were a total of six teas we've sampled while learning their origins, special brewing instructions and benefits. 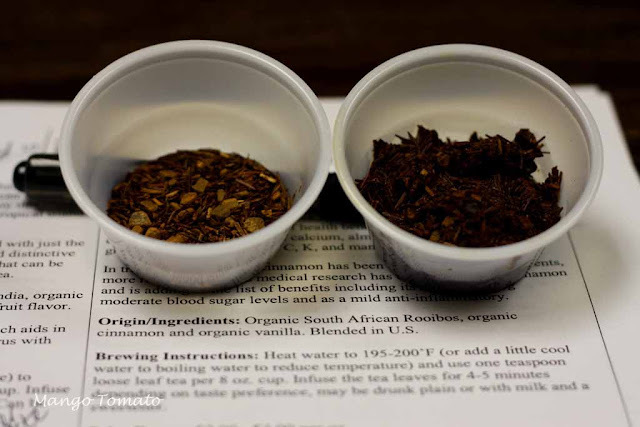 Below are the teas we've sampled with some information I found most interesting and my tasting notes! 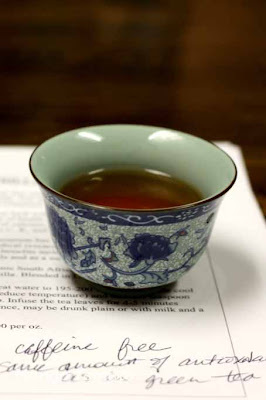 this tea "marries the lively taste of tropical coconut with the warm base note of roasted lemongrass"
My thoughts: this tea blend smelled amazing: it'd be a great scent for a candle, but the taste did not measure up. My favorite part was an apricot pastry that accompanied this tea. "this tea offers a great flavor kick without the caffeine"
My thoughts: without a doubt the cinnamon flavor came through. In fact, Nicole hit it on the head: it tasted like Big Red! 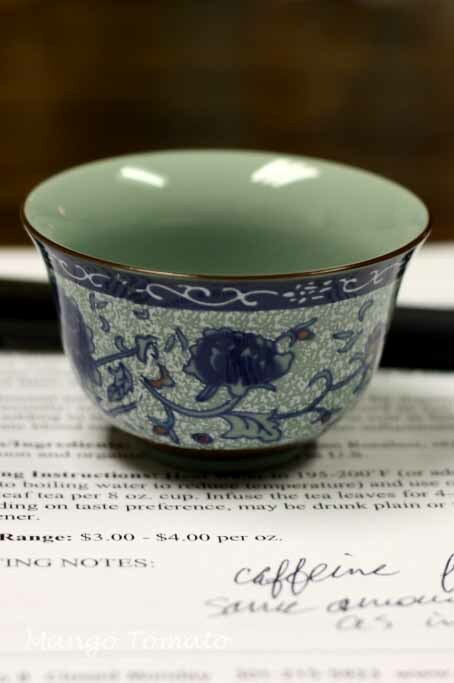 Quick note: while all of us tasted tea from plastic cups, one lucky participant got to experience drinking tea from real cups. I asked to borrow a few of them for the sake of photos: they are so pretty! 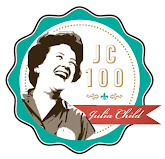 My thoughts: sorry to say, but I did not like this at all. You'd think the apple flavor would really come through. But in this case it just did not. I'd rather eat a fresh apple....or even better an apple pie or cake! My thoughts: the tea smelled great: chocolaty and sweet, but the taste was bitter. Sugar anyone? Despite the fact that I wasn't a big fan of any of the teas, I had a great time! 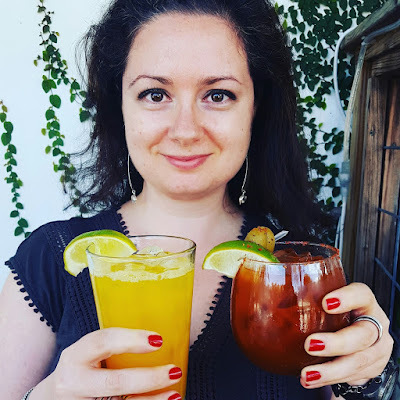 I learned about different origins of teas and flavor combinations and realized that the teas I already drink and like are the ones I should stick to (at least for now): my favorite ones are fruit teas, mint tea and the Reconfortant one from Aveda. 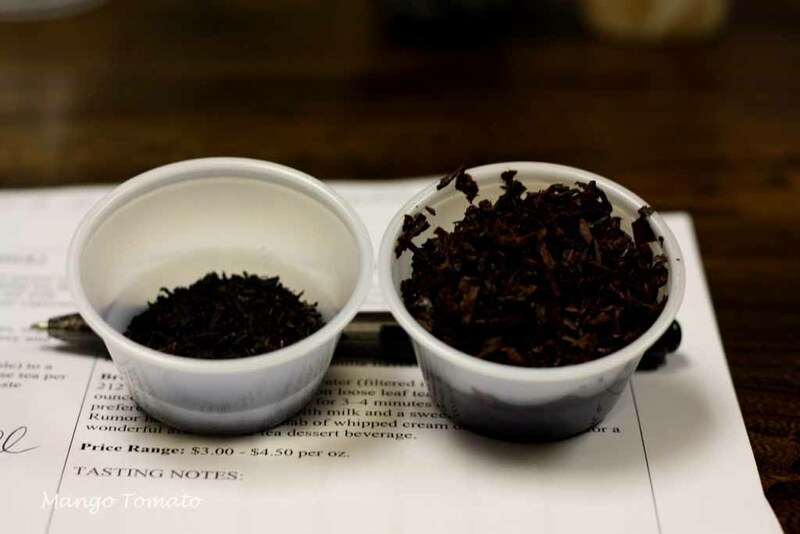 The most valuable thing I learned from this tasting: when brewing tea, allow the boiled water to sit 4-5 minutes before adding your tea leaves. Your turn: 1) have you gone to a tea tasting? What are your thoughts? 2) What are your favorite teas? Wegmans has an awesome loose tea section and I tried a coconut chocolate black tea that is like dessert in a cup. It's got chocolate chips in it?!?! The coconut isn't strong in that one either. It's masked by the chocolate. It's really interesting. 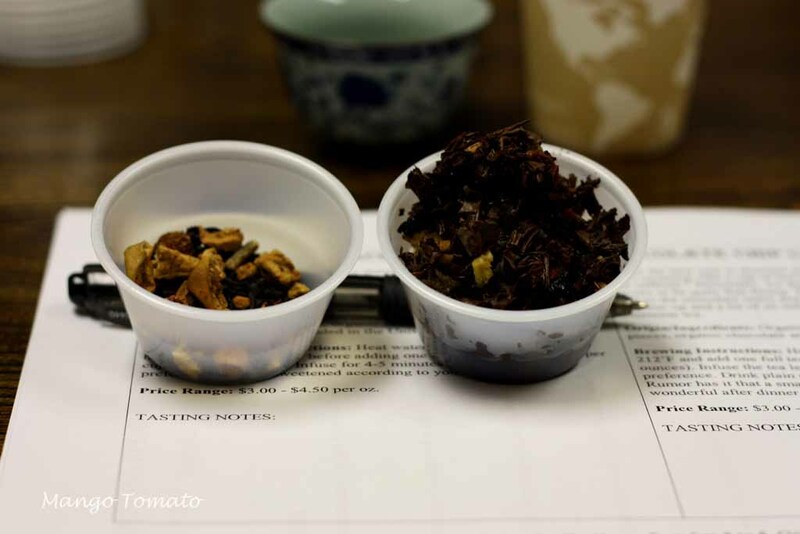 I would love to go to a tea tasting, looks like so much fun. This sounds like a delicious and fun way to spend a Sunday... I'll have to give this tea tasting a try! 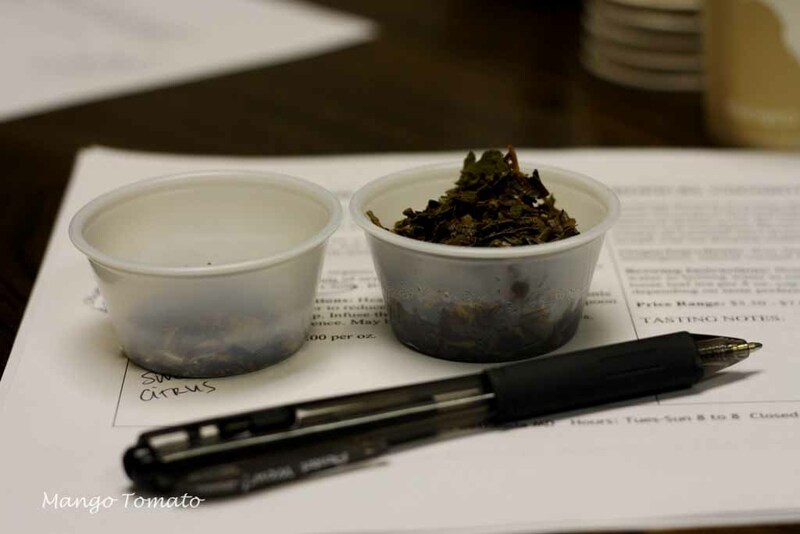 Thanks for sharing this little look at your tea tasting experience! What a fun activity! I'll have to look for something similar in my area. Tea is becoming more populair here too and we're seeing more and more tea related things as well. The tasting sure sounds like fun!